Here at Ice-Kold we can service all of your automotive A/C repair needs. 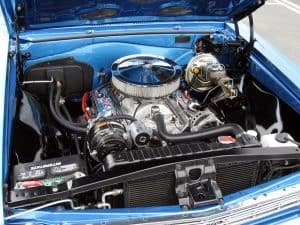 Picture of (Hot Rod) Automotive AC Hose Repairs are an Ice-Kold specialty. We do ALL automotive A/C. Our technicians have experience with both foreign and domestic vehicles, including trucks and buses. During busy seasons, it is best to call ahead to schedule an appointment. But we also take walk in appointments as available. Please feel free to check out our Facebook page.